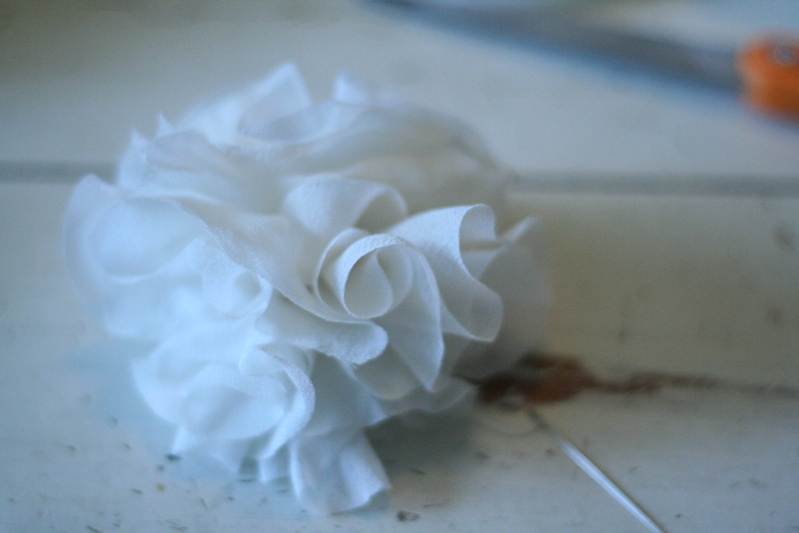 I love the chiffon flowers you see all over the place, on headbands, hair clips, necklaces, and as brooches. 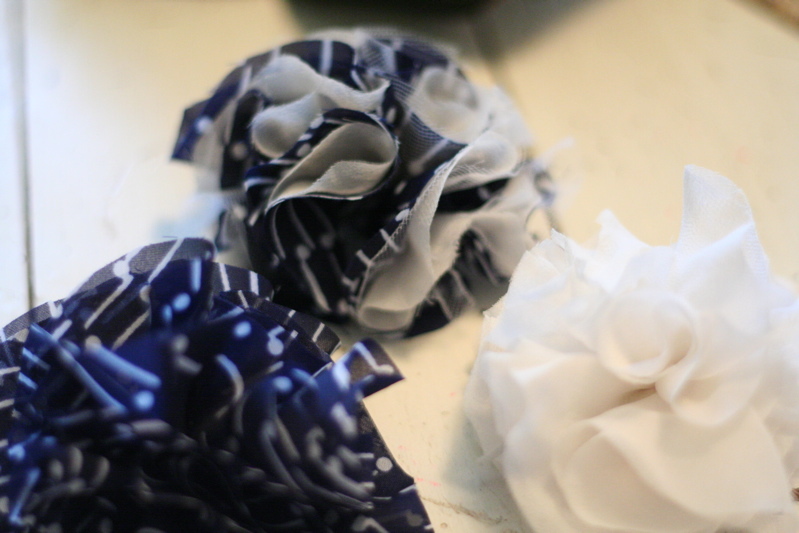 I found a couple soft vintage shirts at the goodwill and have enjoyed cutting them apart for these cute flowers. 1. 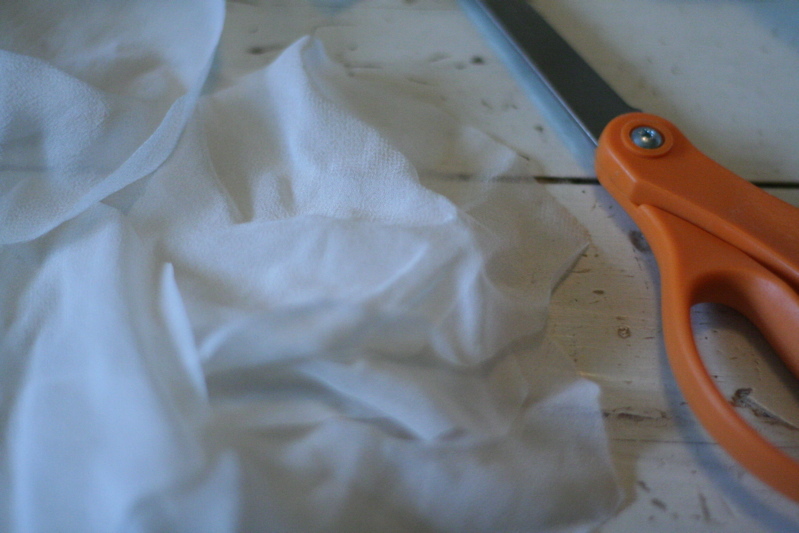 Cut circles out of chiffon or fabric of choice. How many depends on how large you want your flower. 2. Start by pinching the center of the circle so it looks like the above photo. Continue doing that until you have a bunch. 3. 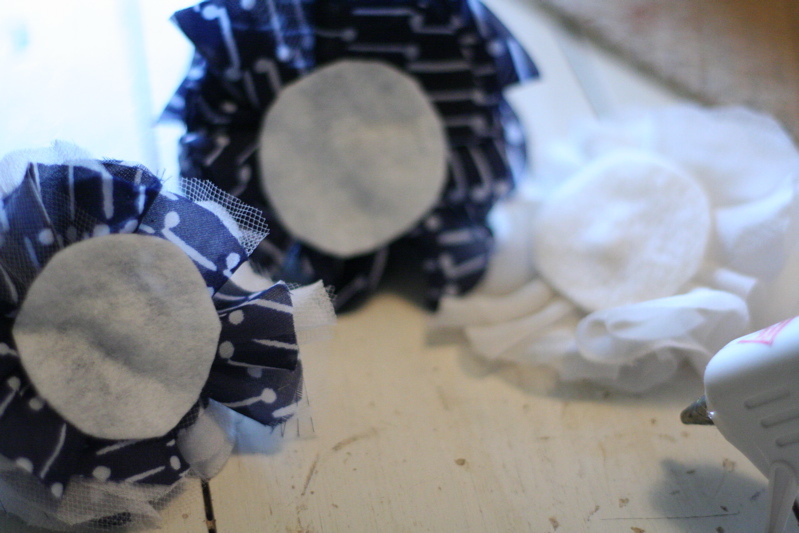 Take your needle and thread and sew the pinched circles together. 4. Using your hot glue gun, glue felt circles onto the bottoms of the flowers. 5. 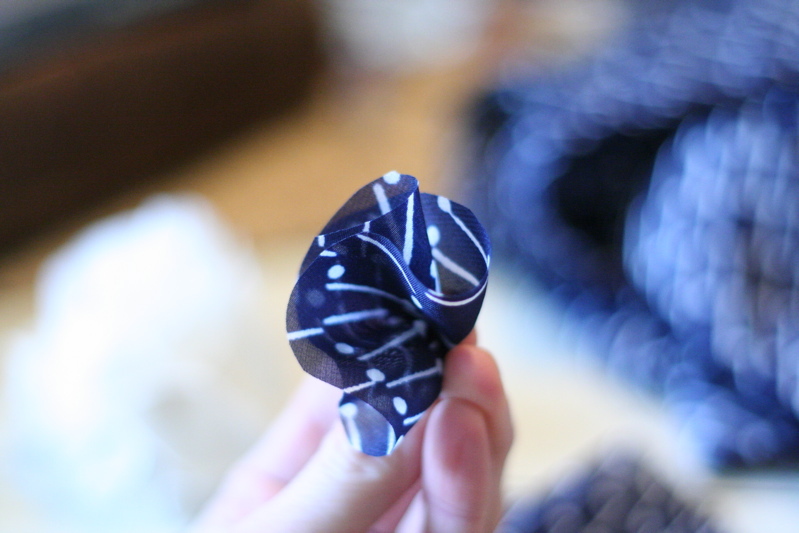 You can sew or hot glue on pins for a brooch or a clip for the hair. 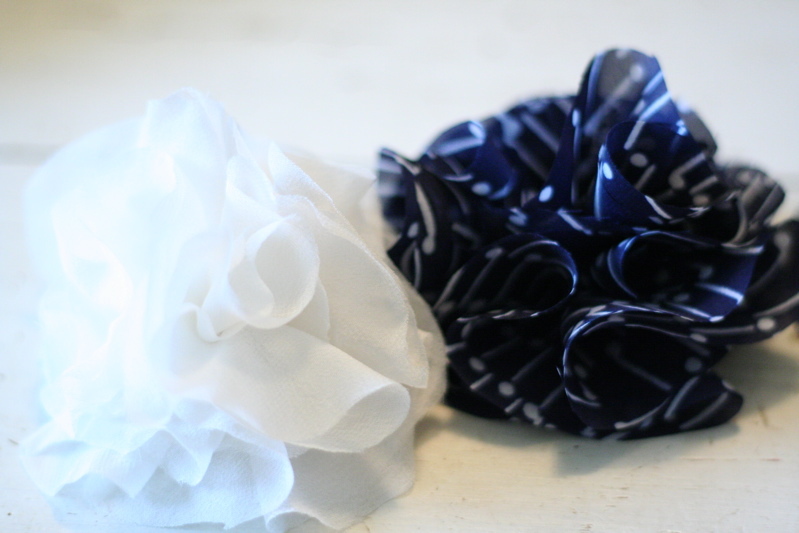 You can also add these to headbands or shoes. Make some flowers for yourself and be creative, there are so many ways to use them. This entry was posted in DIY, Recycled, Thrift Finds, tutorial on April 7, 2010 by Deanna. This is fantastic! And much easier than I thought. Thanks!